As I wrote a couple of days ago, my Google Adsense account was banned. This was the primary source of income for my niche sites. Ouch! I received by far the most traffic and comments for that post than I have ever received on this blog. For the most part, the comments were all very supportive and caring…and I thank you all for that! However, as expected, there were a few people that felt I was naive for relying on Google Adsense or couldn't believe that I put “all my eggs in one basket.” Some people still just don't understand my business apparently, so let me explain a little bit better. So, you may be thinking why I would be writing about the importance of diversifying my income; after all I must not know what I'm talking about right? Well, I want to show you that I've actually diversified my income pretty well. In fact, even though Adsense was a big part of my niche sites, I have a number of OTHER income sources outside of niche sites. Overall, Adsense was much less than half of my overall income. (And I expect to have most of that lost Adsense income back in a few month through other ad networks, etc). You see, about 2 years ago, my only income source was indeed Google Adsense; so I felt like it was time to diversify outside of SEARCH ENGINES. 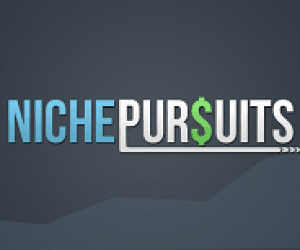 That is the entire reason I started this blog, to talk about “Niche Pursuits”, which are small business ideas outside of niche websites. Don't believe me? Well, check out the Purpose of this Blog that was essentially the first thing I wrote on here over a year ago. That is STILL the purpose of this blog, to discuss how to diversify with niche business ideas. Currently the first niche business idea that I am publicly documenting to diversify outside of search engines is building an iPhone App. You can read about that here. So, in my post here today I want to discuss how I have diversified my income and the importance of doing so. I am still baffled that people don't understand that the risk is not losing your Adsense account, but the real risk is losing search engine traffic with your sites. People constantly tell me, shouldn't you be using CPA offers, affiliate links, or other ad networks to diversify your income away from Google Adsense? My response, is that you don't understand. You see, now that I have lost my Adsense account, yes it hurts, but the reality is that because I still have all the traffic to my sites, I will have income flowing in the door in no time. (And I already do). Using different ad networks on your niche sites is not really diversifying your income…this is a very naive thought. The search engine traffic is the source of your income…NOT ADSENSE or any other network. Sure you can make more with different strategies, but the search engines should be seen as your income source. I am a perfect example, my Adsense account is gone, but technically I could open a new business and get a new one, or as Im doing now can simply install other advertising to replace most of that income. But if I lose my search engine traffic, I'm REALLY toast. I could “diversify” my income using other ad networks all I want, but if I don't have any traffic from search engines, there is no business. Make sense? So, the real risk with Niche Sites is Google algorithm changes or getting penalized. I wrote about this a long time ago right here. Long Tail Pro. I own this product and my customers do not primarily come from search engines. Niche Website Theme. I own this product and my customers do not primarily come from search engines. Welcome Splash. I own this product and my customers do not primarily come from search engines. iPhone App (to be released soon). Ironically its an app for checking Google Adsense. But I expect this to be the first of many apps. In addition, I do own the property NichePursuits.com which brings in a little bit of affiliate income. Its not alot because I don't promote very many products as an affiliate, but its some. So, as you can see I own essentially 4 products outside of Niche Websites that don't rely very much on Google Adsense or search engine traffic. These products will earn me more this month than my niche websites would have. Luckily, I did have other income sources and so I will be able to continue to build and grow my business. However, if you are thinking that you are diversified in your business because you have lots of websites or because you use lots of different types of monetization strategies, I would suggest that you are sorely mistaken. If you are relying solely on search engine traffic, you are terribly exposed. I don't want to say that Niche Websites is a bad source of revenue. Its a GREAT source, but its just one source. I started out with one source and then built additional revenue sources for my overall business with time. But you have to start somewhere. So, if you aren't making much with niche websites, I wouldn't worry too much about diversification at this point because you don't have anything to diversify. Build up your income with just one method, when it starts working, THEN look to diversify as you continue to build that income. My first priority is of course getting back some of the income from my niche sites. I am already back to about $20 to $30 a day with Infolinks and Kontera, but this is just some of my sites, and I haven't tested many other things out yet. So, in the next month or so, I fully expect to have recovered a good portion of the revenue lost from Google Adsense. (I sure hope so!) However, I also have additional plans. I am just about done with my first iPhone app, and I hope it goes well. If it does goes well, I can definitely see the possibility of building a few more iPhone apps, perhaps even this year. This will be also be part of my diversification plan. In addition, I am always mulling over website ideas that are not as reliant on search engines. More destination type sites that people visit directly. Unique ideas with cool functions. I don't have any solid plans yet, but I'm on the look out for great ideas! And finally, I am always looking for additional “Niche Pursuits” to even further diversify. That could be anything from selling Kindle books to creating a physical product. I'm an idea man, and always will be. So, overall I hope that gives everyone a little better understanding of my business. Losing my Adsense account hurt…really bad, but it was not a fatal blow. Because I have diversified my income over the past year or so with my own products and a soon to be released iPhone app, I still have income rolling in. 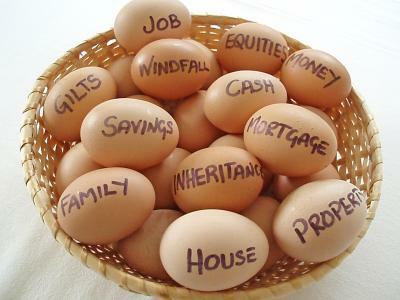 Yes, my business is not perfect, but my eggs were far from being all in one basket. I am still happily self-employed, and the wife and kids still have plenty of food on the table. I would love to hear your thoughts on the subject. I know that many of you did understand my business and so this is nothing new. But perhaps for others this post will help shift your thinking a bit about diversification. Its not about revenue source, its about traffic source. Do you agree? I would love to hear your thoughts. Really great post, Spencer. Definitely gives some insight into your overall income (which you’ve been quiet about), as well as how you’re approaching your business. This sort of thinking makes it clear you’re going to bounce back much stronger. Best of luck, buddy! Hey Adam, thanks for the encouragement. I am actually strongly considering doing a full income report for the month of April at the beginning of May. Just to give a clearer picture of my business…but not sure at this point. Wow, that would be very exciting to see — if it’s a crowd-sourcing thought you’re tossing out, you’ve got my vote (and I’m sure a lot of others as well). You’d get my vote, too… but be careful. There’s a lot of “unfriendlies” out there. I agree. There are a lot of skeptics and trolls out on many of the building niche sites or online income blogs who will criticize everything. 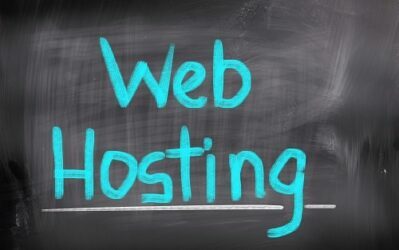 It is great to see that your site is very beneficial because you are primarily here to provide relevant and useful information to a wide spectrum of people, from newbies to seasoned IM’ers. It is useful and I certainly thank you for the time you spend to explain the processes, risks and benefits to building niche sites. Got my vote too for showing your income reports! I’ve had a bunch of setbacks during the years and the main thing I’ve learned is to play by the rules and be sure to keep the progress you’ve done. Instead of using blackhat, asking people to click on the ads, trick visitors into clicking on the ads, use other people’s photos or trademark (domain) I simply accept that it might take me longer than it does for others but the benefit is that I don’t have to start all over again every time I get a new setback. You’ve definitely built up a lot of really great business ventures that don’t rely at all on Google traffic, and I know you are also going to regain your footing for the sites that do. Best of luck to you through this trying time! Hey Thanks Andrew, I agree that facebook and other social sites can be a great way to diversify away from search engines as well. If people actually looked around your site they would see you’ve already released a few of your own products so you already clearly know the importance of diversification! I agree that people worry about diversification too early. Working on too many things at one time is actually the reason most people (inducing me) struggle! Yep, its important to get one good source of income with 1 thing before you worry about diversification. Also, Long Tail Pro is definitely more efficient that market samurai. I completely agree. You’ve got to know one thing before trying to master another. I have struggled with my Real Estate investing because of this. Too many shinny new things and techniques to try to tackle. I finally turned a blind eye to everything in real estate except for flipping mobile homes. I have now made money from this focus when I hadn’t made a dime from any other. Great advice and personal experience Chris…thanks for sharing! 1. A roof over your head. 2. Clothes on your back. 3. Food on the table. I would disagree about your traffic source point. I think that there is still a lot of money “out there” that doesn’t rely on traffic to obtain. It’s just a matter of going out there to get it. Most people come here to learn about niche sites, but over time I came to find that there are little gems of information that people don’t even know they leave in the comments. This has led me to completely new ideas that I am trying with many more on my “bucket list” of things to do. Bottom line is that there must be “niche pursuits” that don’t require a website, don’t require in-content ads like AdSense, and don’t require search engine traffic at all that are profitable. So I don’t think it’s necessarily about the traffic, but really about the customers in the niche that you want to target. Great points Andre, I think we are essentially saying the same thing – that there are other ways besides just search engines to make money. Lots of ideas. You could not have hit the nail on the head any better with this. Once you have traffic and enough of it, all things are possible. There are so many monetization options and dare I say Adsense isn’t even the best one. It might be easy, but that still comes with a form of cost or risk, might be a better way to put it. I don’t like to see you go through this of course but I really didn’t feel that worried. You’re already doing the things necessary to create a reputable name and brand in various markets. People are talking about you, and following you and this work will far outlast anything changes Google may decide to make down the road. Yes, use Google however you wish and gain what you can from them to build the brand…but you obviously don’t need to rely on them lock, stock, and barrel. It’s a good lesson for us all. Thanks as always for sharing things so transparently! Glad this resonated with you Mark! I totally agree about building your own brand as well. Good to see you so optimistic and active. 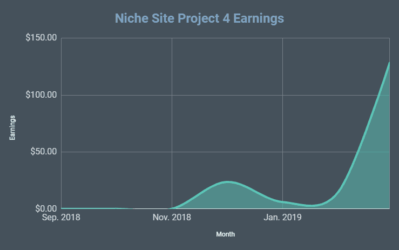 AdSense is said to be lowest paid option when you monetize the site either way according to some so while it’s a loss, might be best thing to happen to ya! Adrijus: There are lots of different ways that you could go, just be aware of the risks; including those with affiliate sites and PPC traffic. Not saying any of the ideas are bad – just be aware. And yeah, no method is bulletproof I guess! Great post! What you said here has been exactly what I have been thinking after seeing all this! Best of luck! Stay positive, stay true to your values, and you’ll be just fine! I really enjoyed this post– like Thomas, it confirmed a lot of my thoughts and ideas since all of this Google banning started recently. Sorry to hear but it’s not the end of the world. I totally agree with you about the relying on Google approach. 2. Direct Advertising (your blog is great for that). 3. Big Projects like Baseball.net (when you build a brand Google is not matter so much). Great approaches Arbel! I am still amazed that you picked up such a great domain! Its good to know that you are truly diversified. I have been slowly moving away from Google Adsense and I think that it is starting to pay off. Some time after my Adsense ban about 90% of the traffic to a number of my most important and top revenue sites went away. After doing research I realized it was because the sites were either linked from or to the one site which was click-bombed so I assume G thought all the related sites were somehow involved in the non-valid activity. The major SE traffic loss (and no PR or real low Page Ranks) means even if I can find an Adsense alternative it’s not going to make much money as websites. The one and only bright spot I can report is that I was fortunate enough to register or buy mostly typein and natural traffic domains over the years so even without any SE traffic those domains still get a degree of traffic. which Google is not able to strip away. I think a lot of people, including myself, didn’t realize that the Adsense wasn’t the biggest (by far) income stream. Lewis Howes and Sean Malarkey are really good in building their online business by creating a clickbank product. You probably already know them but still..
Do you think that the number of posts on your adsense sites had anything to do with the banning? I don’t know what caused the adsense ban unfortunately. Could have been the number of sites, or something else – no hints given to me by Google. In fact, I would add to your thoughts by saying that some traffic sources are more potent in terms of conversion than search traffic. Email list is one of them, especially one where the users are really engaged with the email list provider. Direct traffic or what domainers would call type in traffic is another. Social traffic is the one that I have not fully understood to better monetise it. If you have some thoughts or experiments, do share with us. Very true, email traffic of engaged readers is much more potent. Social traffic can be another great one…can’t say I’m an expert there either though. I am really encouraged to hear that you are doing so well with your other products. I have seen you diversifying over the past year and I’m happy to hear that it has paid off. No matter what though it really comes down to eyeballs. If you can get enough of them looking at your stuff you can make some money. I’m taking a bit of a breather on the niche websites to let things kind of quiet down and instead focusing on my authority site. I’ve been wanting to do an authority site for a while and I only picked the topic based on my interest. When I looked at some metrics in terms of CPC it wasn’t great but they say do what you love right? Well I have been enjoying my time spent on it so far. I hope it actually does help people out down the road and then maybe I can find a way to make a few bucks on it also. Good to hear that the adsense shutdown didn’t crush you. I can understand being pissed but I’m excited to poach new ideas of you too. BTW, the kindle thing is very interesting. I actually did a book about 3 weeks ago just to figure it out. Admittedly it is horrible but someone bought it. The business model is very interesting though. Hey if you are enjoying the authority site, then I say go for it! Doesn’t have to be as “profitable” a niche to still do well. If other share a similar interest to you, then you can find ways to monetize it. I’ve been intrigued by the Kindle model, but never taken time to figure it out yet. Good post Spencer. I’m glad to know that you were already involved in a lot of other projects that weren’t affected by losing your adsense account. I have a quick question for you though. For people just starting out in Internet Marketing, would you still encourage building niche websites? It seems like a good place to get started as it is relatively low cost and you learn a lot of skills that are applicable in other aspects of IM. YES! Taylor, I would definitely encourage people starting out to build niche sites. As you said, its a very low cost way to start building a business. I wouldn’t necessarily go out and build 100 niche sties, but start with a couple that you enjoy and expand that or diversify as you see fit. Niche sites are still a very profitable business model. Firstly, commiserations about what happened to you, you are a clever and reseouceful man who will be back on top very quickly, more power to you. Secondly, This post reinforces what I already decided was the way to go with IM. It really is all about eyeballs and you can have as many sites as possible but with no eyeballs…so, making sure your traffic is still there and growing is everything, regardless of any methods you might choose to use to monetise. Having things like Long Tail Pro and your NicheTheme is a great way to go (I have bought both) and further diversification, such as Apps, can only help. There is a lesson in all this for people, like me, who are starting out. Its certainly given me much food for thought. Please keep up and great work and let us all know how you are going. Completely agree. I’d rather lose my account than my SERP rankings. It takes little time to register for an LLC and get another Adsense approved or even any other type of method. The traffic is where the money is that. Big question though, Spencer. How closely tied do you think LTP is to your niche site business? 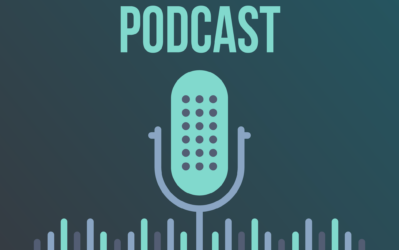 If you completely dumped (not that you would, of course) your niche sites and traffic…would you be able to continue to grow LTP out along with other related tools? Something we’ve definitely discussed internally. Great minds think alike! Yes, Long Tail Pro has been a big success and obviously that is still tied somewhat to my niche site business. However, its bigger than whether or not my “small” niche sites succeed. I am actually finding that I use Long Tail Pro quite a bit as I look for bigger authority niches – and sites that might have 100s of articles. Long Tail Pro is helping me find article topics for all of this. Lots of bloggers and small business owners are picking up Long Tail Pro for the same reason. So, if I transition to more authority sites, I could see Long Tail Pro still being very relevant. But yes, obviously it is still tied to my core business and I could diversify further into something completely different. I see iPhone apps as a possibility – apps outside of the IM world. So, yes I could be diversified even better and that will come (hopefully). hey spencer, what happened now to your amazon sites staging-nichepursuits.kinsta.com/my-latest-project-building-niche-amazon-sites . im sure many are interested for an update on that project. Pip, I should give an update. But here’s a quick one: those sites never really took off. 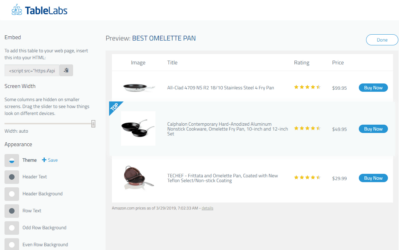 I’m not sure if I just tried too hard to find product keywords and didn’t find as low competition ones as I like. But the amazon sites just aren’t working out for me. I prefer more information keywords (easier to rank for) than product based keywords – so this is likely my issue. Wow. I was really surprised. And again I am inspired by you. It seems you are right, do not put all your eggs in one basket. I currently rely too much on Adsense. I should think just as creative as you create your own products, or look for other income from the internet. Do not put everything in one basket. I should have been more creative. I should get a steady income that much higher than Adsense revenue. Making and selling products or services might be a pretty good choice. Thank you for inspiring me, Spencer. Great post about how you have diversified your income and actually what it means to diversify your income as many people don’t really understand what that means. Traffic is 100% your business and I am surprised some people still don’t realize that. It’s HUGE. Without traffic = no money no matter how you monetize your niche site, authority site, blog, etc. Also doing many other things that don’t rely on search engines is great too. I think I’ll do both online and offline stuff to diversify my income streams. Doing offline things such as rental properties or stock market can help protect me if one stream of revenue fails. Anyways looks like you are still rocking it. Good work! Looking forward to seeing that update with income before and after you got banned from Google Adsense. I believe that would be a super popular post as well. Thanks again for sharing. I will definitely be revealing how some of my experiments with Adsense alternatives goes. I will have some updates at the beginning of next month for sure…so stick around! Sounds good. I’ll look forward to seeing the results compared to adsense. I think you need to be diversified against both the search engine drop and adsense ban. One of my sites was banned by adsense (not my account), and after 2 months of trying to monetize it with different ad networks, I finally gave up and sold it. I am glad you are reporting success with other networks, but this is not my experience, and I went through most of them. It was a total failure. With adsense I was getting around $800 a month, with the competition, the best result was $120. hey Spencer, that’s why I follow you! You’re a go-getter and idea generator. Keep up the amazing work you’re doing with this blog, and good luck with your other projects and sites. I started with my first app idea because it was something that I wanted. That’s about it. I did realize there is a market with lots of other people using adsense, so that helped, but essentially it was meant to meet my own needs. I’m glad to hear you’ve got lots of other income streams. I guess I didn’t think about the Long Tail Pro doing so well. I was seriously praying for you! I was thinking like $150K per year or whatever was gone. Poop! Good thing you’ve landed on your feet. LOL…I could edit that for you, but its just too funny…thanks for the laugh! I totally agree with you on this. It is really what I have been hearing from the start. You always need to diversify your traffic sources. Some should come from search engine, some from social networks, some from email subscription, some direct traffic. Although, traffic sources other than search engine is somewhat hard to come by with niche websites. Maybe you can write a post about how to increase traffic from social networks to your niche website. That would be really helpful! From a totally gloomy mood the last time I came here, to an Easter-like day with this post — with all the commenters following the emotional path from that one to this one — it feels like you’ve just given us a ride in a wonderful journey. Doing business online is becoming tougher by the day. Lucky are those who started doing this in 2004 when everything (backlinking, monetization, etc) is less risky. Like others, I’m glad you’re okay. And I agree, it’s about the traffic sources. That’s a powerful statement! Thanks so much for sharing your experience. Really glad to see that you’re doing well despite the road bump. Totally agree that it’s important to diversify traffic sources. Not only because Google rankings can fluctuate rather violently at times, but also because of the trend where Google is starting to favor more and more of its own properties on the 1st results page. This in turn means less real estate available for other publishers to fight for. 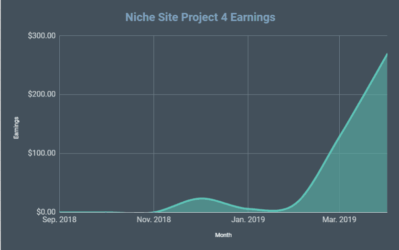 One way I can think of which can minimize the risk and potentially increase the incomes of niche sites is to work with product owners / suppliers related to the niches and slowly convert some of the sites into ecommerce sites instead. With a high enough margin, it’d probably be profitable with paid traffic even if the organic traffic dries up. The targeted nature of the page would really help in increasing the adwords quality score and lower the cpc. The problem is, this would require much more attention to upkeep (negotiations with suppliers, conversion optimisation etc.) and wouldn’t really work with all niches. I’d think it’s feasible if the portfolio of sites include a large portion of product sites in the same niche though. Would love to learn more about how you can diversify both your traffic and income sources. Again, so sorry to hear about the loss of your AdSense account. It can’t be easy. I’m currently drawing a good AdSense income (no where near your level, but still in the thousands) and I’d be devastated if I lost my account. That said, seeing your attitude and mindset, I’m sure you’ll bounce back even stronger. Looking forward to your next success story! Good post, and good luck for the future. I’m getting afraid of these big tech companies, Apple and Google both pay little tax and there’s not much corporate responsibility from either. So much for don’t be evil. What everyone needs to do is make sure their sites have less than 70% referals from Google search traffic. That’s the first step. Then make sure you can monetise in other ways – test out CPA offers etc. Add a mailing list. And finally, try launching your own service. I’m currently building a membership site – I have enough traffic in a niche to be able to begin to compete against the major players. I forgot to add that if you’re banned from Adsense, complain to your local government business department/government representative if you have one. NOBODY is above the law. I recently embarrassed a very well known internet company by complaining to their local regulators. Online companies are often brought down to earth with the shock of realising they have real world responsibilities. I am in my sixties and my husband is in his early seventies but I am building a successful online business selling affiliate products which now suits both my age and current health. What I really wanted to say though was that up to twenty years ago, before he sold up, my husband was co-owner of a successful busines that gave us a good living. He always said that in any business, whatever it is, you should NEVER put all your eggs in one basket, no matter how lucrative that basket looks, as things can change overnight from a terrorist attack to a natural disaster. He was proved right more than once which is why we still have a comfortable roof over our head today. His business principles were his father’s and stemmed from the fifties when his father did rely on what seemed an excellent source of income – but it all went horribly wrong as my father-in-law was hit by a ruthless company much like you have been hit by Google, another ruthless company. The family pulled together however and survived this hit to become even wealthier from the lesson they learnt – which was to spread their talents wider. The point is Spencer, as you recognise, this is not the end – just a new and possibly even better beginning. You are a wonderful source of inspiration and hope in what is quite frankly a pretty evil and selfish world. Please keep up the good work we all SO appreciate what you generously share with us! I came across this story about Jef Poskanzer who was able to restore his account with the help of Matt Cutts. I hope it may help if can figure out how he did it. I now totally understand the importance of diversification. The G update today knocked all my sites out of the top 10 (except for 1). I kinda new this was coming so I’ve been building a couple of site which are not wholly dependent on greyhat SEO. Hey Spencer sorry to hear about your recent miss fortune, with that said you obviously have other income streams so sure you will be back on top soon. I wanted to know though, how your sites had been performing traffic wise after the penguin update? I seem to recall you using BMR and Article Marketing for backlinking, which would seem to have been the sort of sites that got hurt with the update. This is the first time for me on your site, and I am very impressed. You are very frank with your replies and even your ideas. I am one of those people who have nothing to diversify yet, but I do hope that one day I’ll definitely not rely on search traffic alone (unlike now). More than diversification of income streams, your post puts forward the importance of diversification of traffic streams. Which, I think is very important. Great job mate, I’ll def. stick around for more.